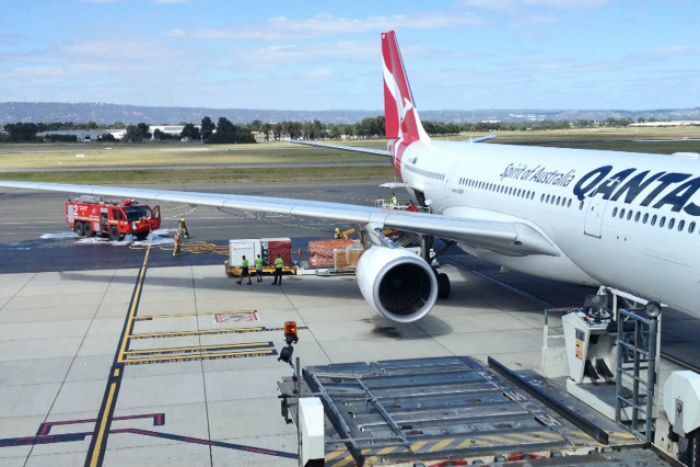 A Qantas A330-200 has made an unexpected emergency landing at Adelaide International Airport. The plane, carrying the registration, VH-EBQ has landed safely in Adelaide Airport after the crew were notified of smoke in the rear cargo compartment of the plane. 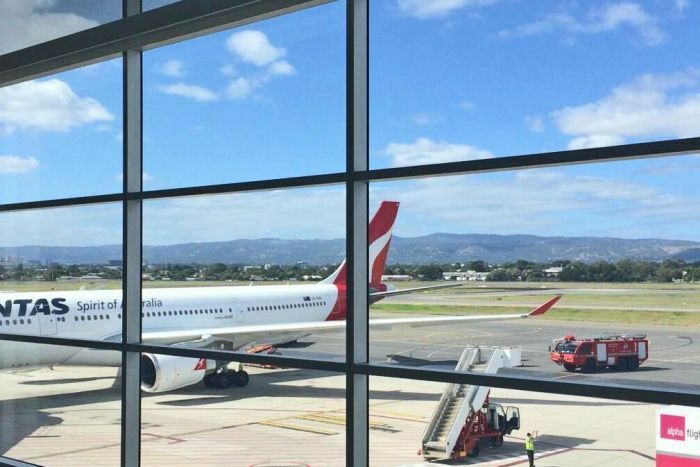 Police and emergency crews were on standby at Adelaide Airport as a Qantas A330 jet made an emergency landing, about 12:40pm ACDT. Authorities say the jet had been travelling from Sydney to Perth with 266 people on board when it turned back. The Airbus A330 was west of Adelaide when the alarm activated and was diverted to Adelaide Airport, where the pilot landed it safely. Metropolitan Fire Service officers investigated the cause of the warning alarm. Authorities later said it was a technical fault. Tim Brewer was one of those on board the flight and says his travelling companion noticed something was wrong. "My friend had just pulled up the TV monitor to see how far we had to go and the plane was facing in the wrong direction and he kind of tapped me on the shoulder and said 'Hey look at this'," he said. "The captain came over (the address system) and said there'd been an alarm in the rear cargo compartment for smoke and they were turning around express to Adelaide to get the plane on the ground and check out what's going on. "He did say the alarm had stopped once they went through their procedures." Mr Brewer says passengers looked concerned but remained calm on board and the staff communicated well throughout the drama. Some screenshots on Plane Finder during this emergency.